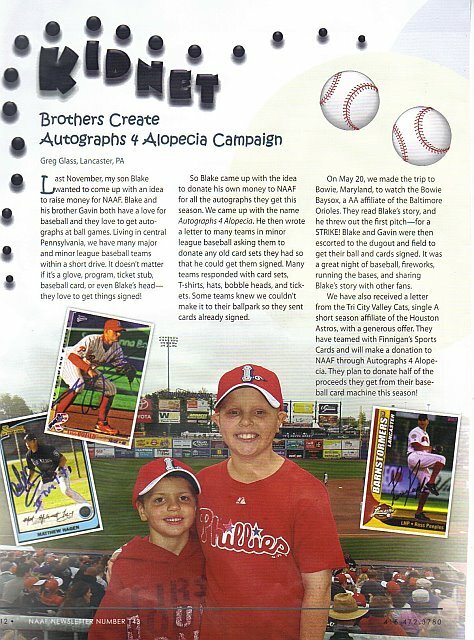 Autographs 4 Alopecia: Cover Boys! We got a package from Joe at the National Alopecia Areata Foundation this weekend with the quarterly newsletter...Gavin and I are the cover story! 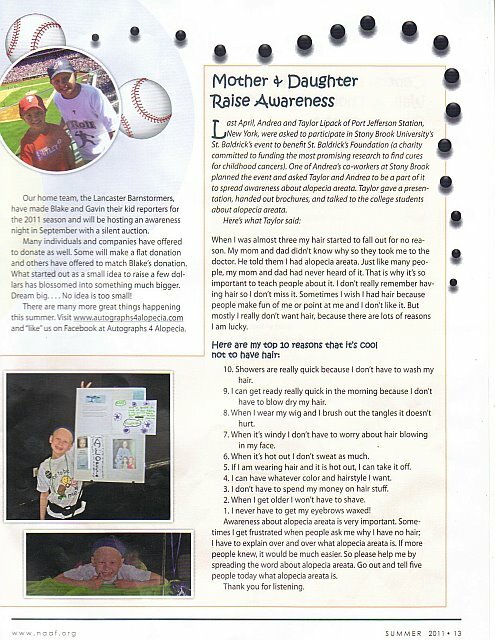 The newsletter is full of stories of how people young and old deal with alopecia areata, research information, and different fundraisers like what we are doing. There is a special section called "Kidnet" that focuses on just what kids are doing to help the alopecia areata community. 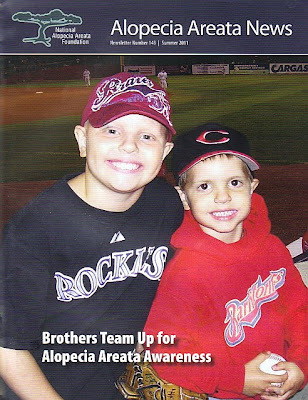 There are alot of different people doing things so it is pretty cool that we are on the cover. 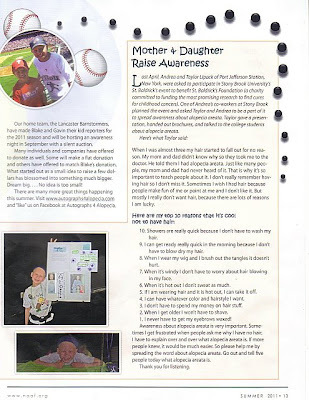 If you would like to know how can get a copy, just email me at blakelovesbaseball@yahoo.com.